Each year, Mothers Against Drunk Driving (MADD) release a “Report to the Nation,” as they call it, on the state of drunk driving laws across the U.S. 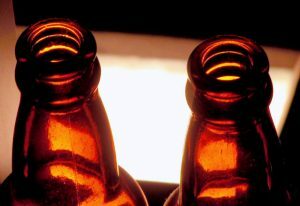 The agency assigns a rating ranging from one to five stars to determine the strength of a particular state’s drunk driving laws and regulations. While some states like Mississippi fared very well with 4.5 stars, Massachusetts was awarded only two stars. Part of the issue for the Commonwealth was that while there is an administrative suspension law is on the books, the interlock device is not required for all first-time offenders following an administrative license suspension. This resulted in just a half star. There was another half star awarded for a child endangerment statute, but not a full star because it is only a misdemeanor. We were also given one full star because the state does have sobriety checkpoints set up at least once a month on average. To get a better idea of what MADD feels Massachusetts is missing in terms of drunk driving enforcement laws and efforts, we can turn to a recent news article by the Hot Springs Village Voice that examines the factors considered when assigning a rating in their annual report. In the case of Massachusetts, the fact that we don’t have an all-offender interlock law cost a full star, along with the fact that we don’t have what MADD calls a “no refusal law.” However, as our Boston drunk driving accident lawyers can explain, this is not because our lawmakers do not have an interest in curbing drunk driving. They understand drunk driving poses a serious risk of personal injury or death. The reason we have different laws than in other parts of the county is because we have a great degree of individual rights and liberties compared with other states in terms of criminal prosecution. As we all know, at the time the U.S. Constitution was written, including the Bill of Rights, there was a lot of focus on individual rights. This was not an accident, because John Adams was a big proponent of individual liberty, and that he is why he included them when drafting the Constitution. However, he had already written much of this document, as it largely mirrors the Massachusetts constitution, as the Bill of Rights was based upon the Massachusetts Declaration of Rights. The main difference is that, through the legislative process and the judicial history of the United States, some of these protections have been lessened over the years. In Massachusetts, where our Supreme Judicial Court (SJC) has kept true Adams’ intent, we still have many of these protections. The reason a no-refusal law is not as strong as it is in other states, is because the SJC feels that being forced to take a test, or saying no, might be equivalent to having to waive your privilege against self-incrimination. However, this does not mean that certain things cannot be used to prove negligence in civil car accident lawsuit following a drunk driving accident.